Krishna lived approximately 5000 years ago, and is well known throughout eastern history as one of the planets greatest Avatars. In the Hindu religion’s holy trinity of Brahma (Creator), Vishnu (Preserver) and Shiva (Destroyer), Krisna was the 8th reincarnation of Vishnu, while Buddha was next as the 9th, and Babaji was his last incarnation. 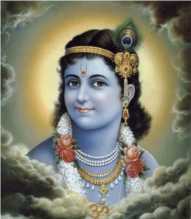 He is the best loved among the 1 billion Hindu followers today who worship Vishnu. Krishna is a playful Avatar with peaceful yet warrior-like qualities. He’s often seen with his beloved Radha (below), or in battle with his companion Arjuna, protected with the power of God he’s often seen as blue in color or with a blue radiant aura. 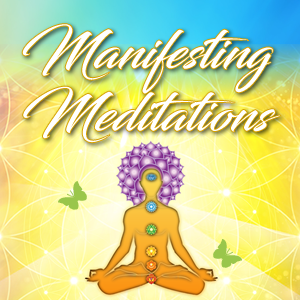 It is my belief and experience that we are ALL here to experience this divine essence within ourselves. We are each divine beings, and here to enlighten our consciousness and raise our vibration to recognize the “Krisna” within us. When we honor this possibility and see it as a potentiality, the divine being at our core begins to emerge. 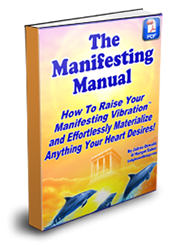 We can effortlessly manifest our desires faster and easier!